Connector type: DIN43650, Deutsch, Amp, etc. 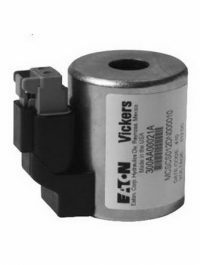 Vickers solenoid coil, also called Vickers coil, Eaton Vickers solenoid coil or Eaton solenoid coil. 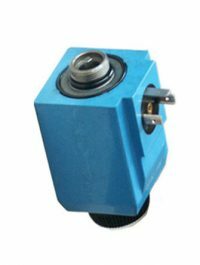 Just like Rexroth solenoid coil and Yuken solenoid coil, Vickers solenoid coil is a necessary part of Vickers solenoid or Vickers solenoid valve. 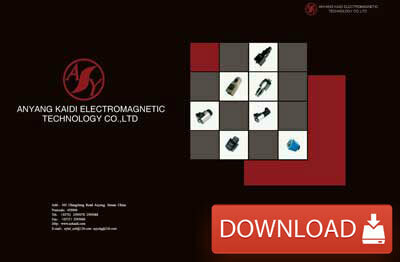 By the voltage, Vickers solenoid coil can be divided into AC and DC type. A variety of integrated connections and wires ideas available. The advanced design of one-piece and shell encapsulated, and Vickers solenoid coil meets the most stringent environmental requirements for mobile and industrial applications. 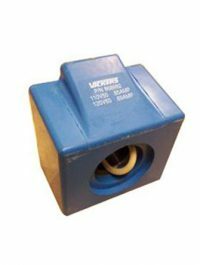 The exclusive design of compact coil from Eaton offers the advantage of field retrofit ability on all existing, and new, applications. IP69K Environmental Protection: IP69K can prevent dash and high-pressure spray entering the solenoid coil. IP69K test is focused on the rating protection against high-pressure spray, high-temperature liquid and close nozzle distance from the enclosure surface. 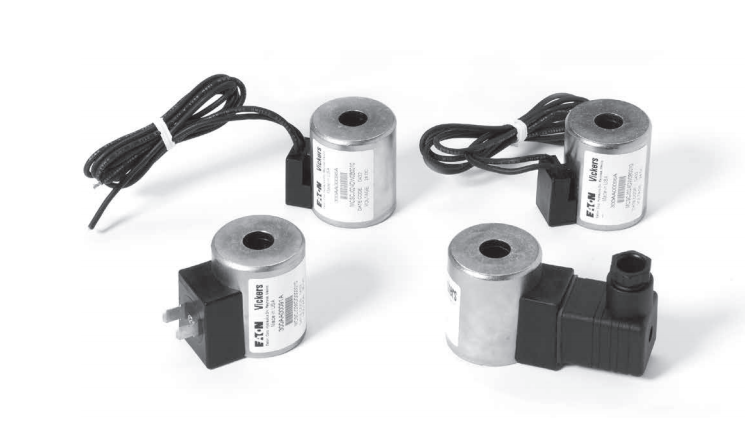 IP69K is standard on coils with MetriPac or Deutsch, integrated connectors. Eaton Vickers solenoid coils have been qualified to “Thermal Shock Dunk” tests, which is the toughest Mobile Equipment. The data shows that Integrated Deutsch, MetriPack1 and Leadwire2 connectors exceed “Thermal Shock Dunk” test qualifications at 140°C. What is The “Thermal Shock Dunk” test? It requires coils to be heated, reaching a stabilized temperature of 100°C, then immediately immersed in liquor at 0°C. After the five times thermal shock, monitor the dielectric strength in the solution of coil and verify the functional performance. Besides, Vickers solenoid coil passed a more severe powered dunk test conducted from 100° C to 0° C with 115% rated voltage applied. Vickers solenoid coil can replace all current Eaton coils used on D Frame and Shell type coils. 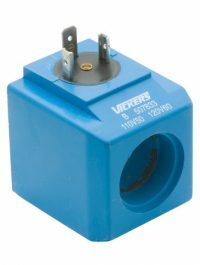 Compact coil applies for most 8, 10, 12, 16 and 20 series valves. No additional water/weather proofing is needed. The design of steel shell encapsulated provides protection against physical and environmental damage.